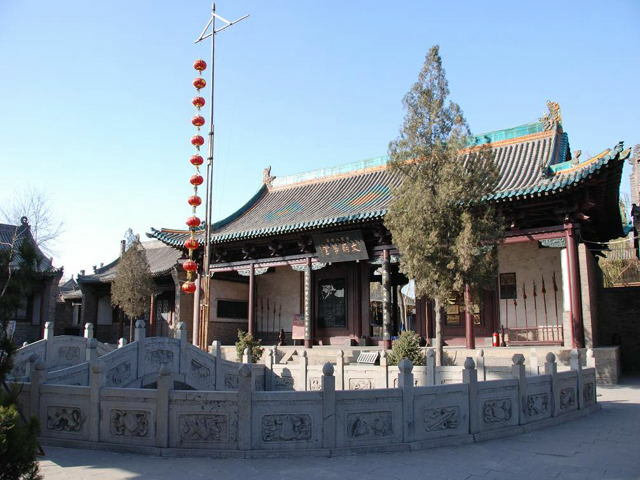 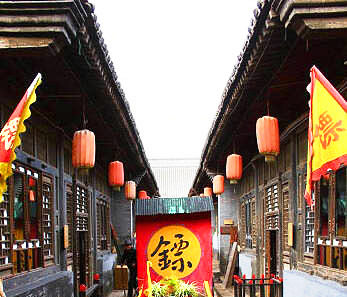 Since the early 19th century, the Ancient Mingqing Street has served as the strategic gathering place for businessmen of Shanxi (one of the four biggest commercial groups in Old China, the other three being Ningbo, Anhui, Chaoshan Groups). 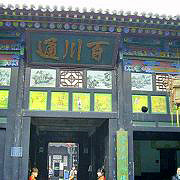 Reputed as the "Wall Street of China", the street collects headquarters of more than 20 exchange companies, taking up 50% throughout China In its golden days. 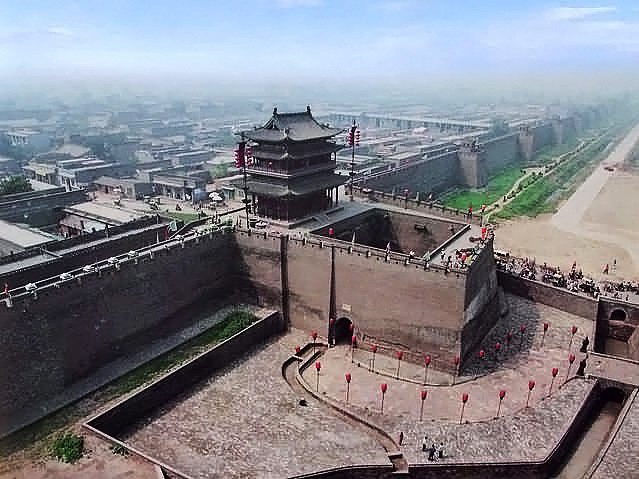 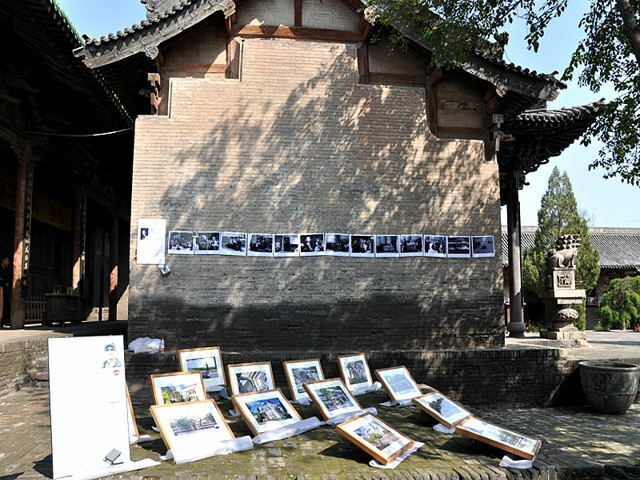 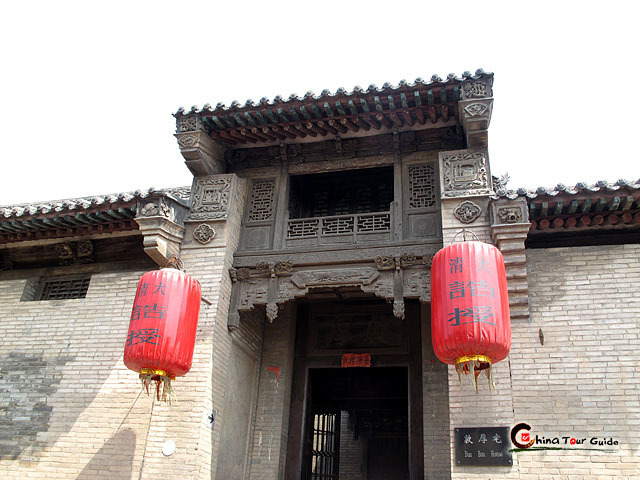 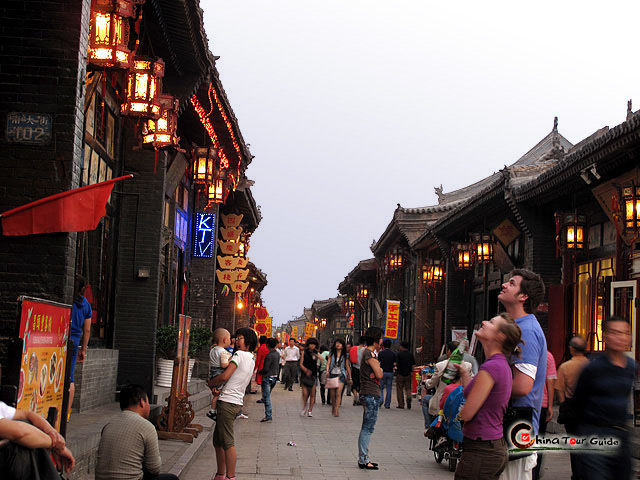 No it is located at South Avenue in Pingyao and is the city's most important heritage. 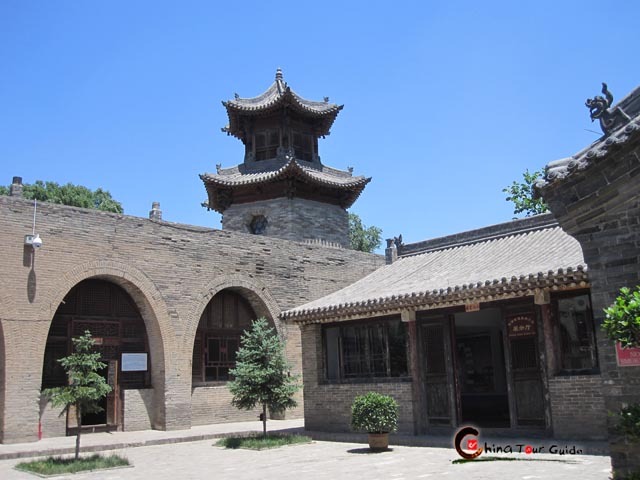 Walking past, visitors can still feel how active and animated the Shanxi Commercial Group once was. 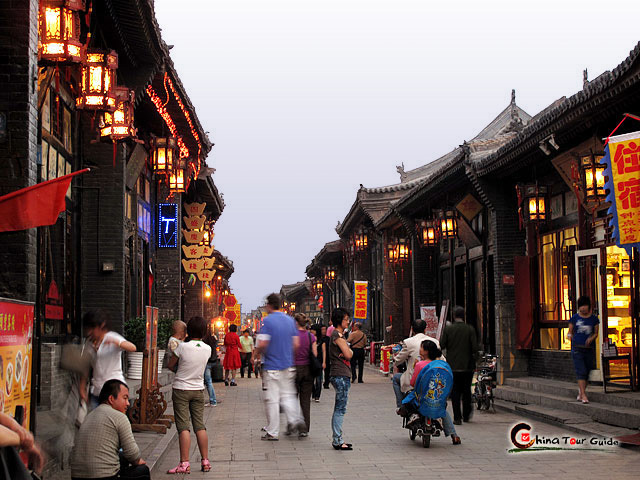 Bustling Mingqing Street at Dusk Delicately decorated shops along the Street. 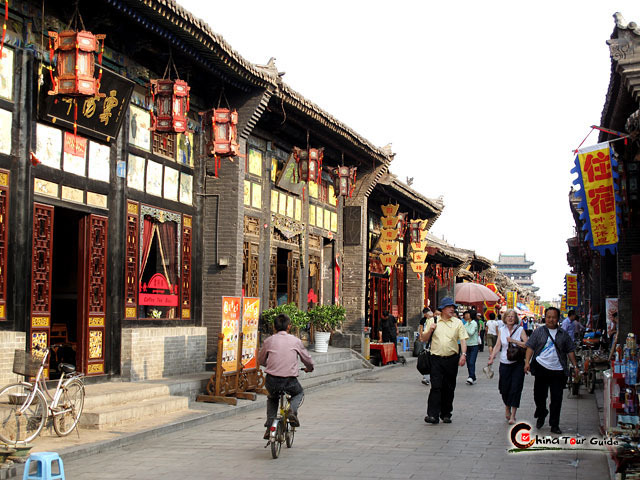 The street stretches 750 meters(2460 ft.) with almost one hundred shops and local houses built during the Ming and Qing Dynasties still by its side. 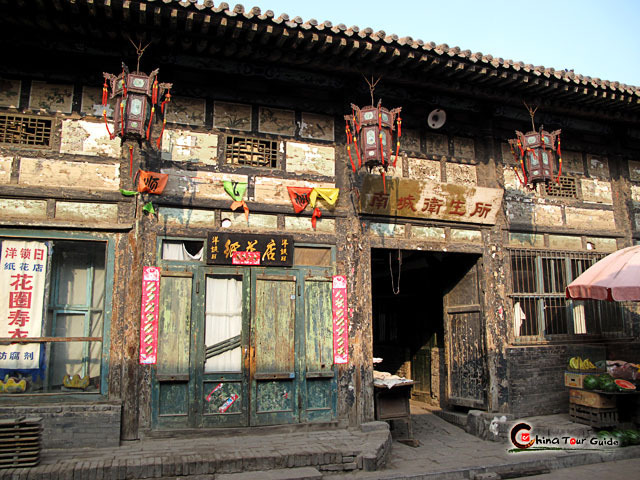 The traditional shops and houses are still well preserved. 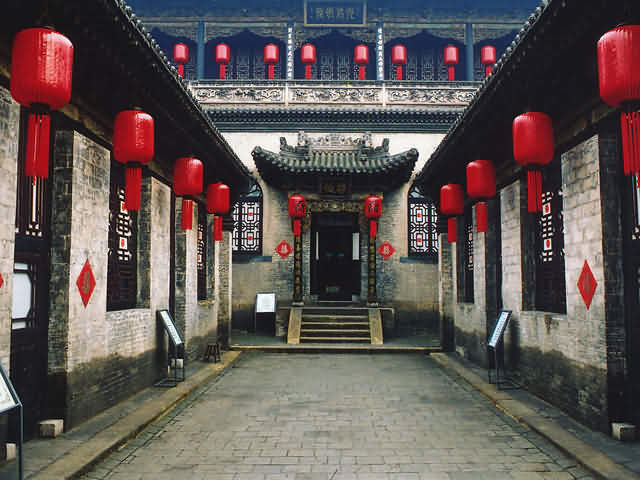 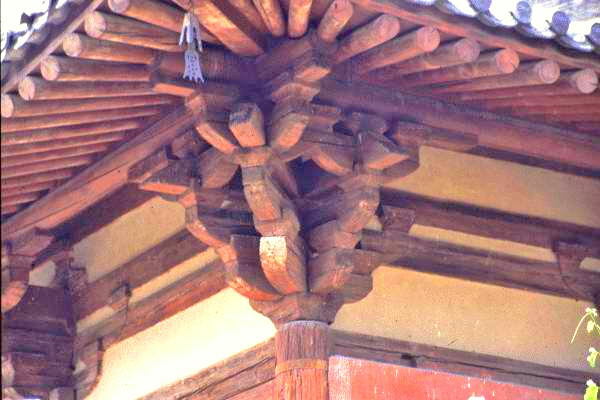 They were all built with bricks and stones completely using the style of Ming and Qing architecture. 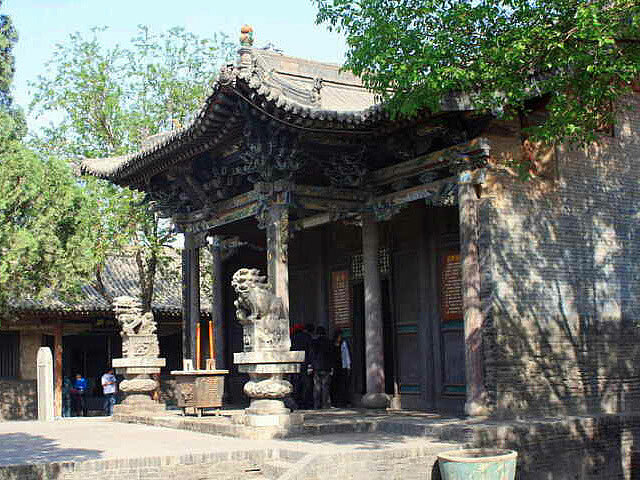 As such they are representatives of most ancient buildings in China that still survive and offer a stark contrast to the architecture employed today. 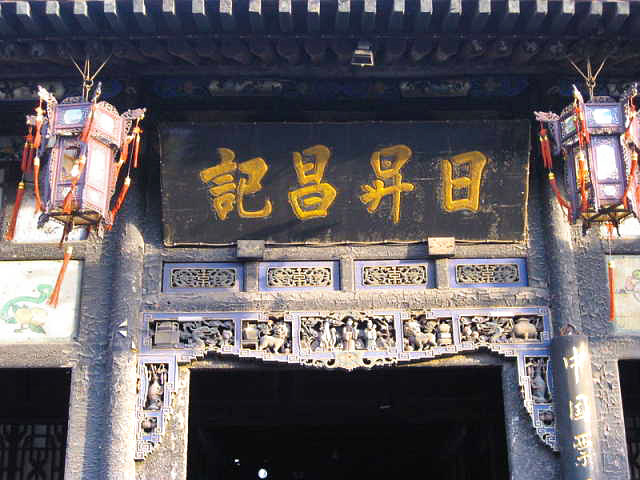 A featured shop on the Mingqing Street Visiting Ming-Qing Street by rickshaw. 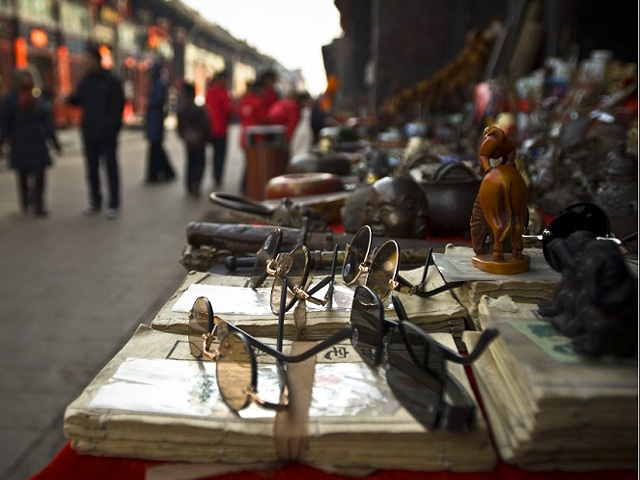 Today the Ancient Mingqing Street is home to the biggest antique market in the province. 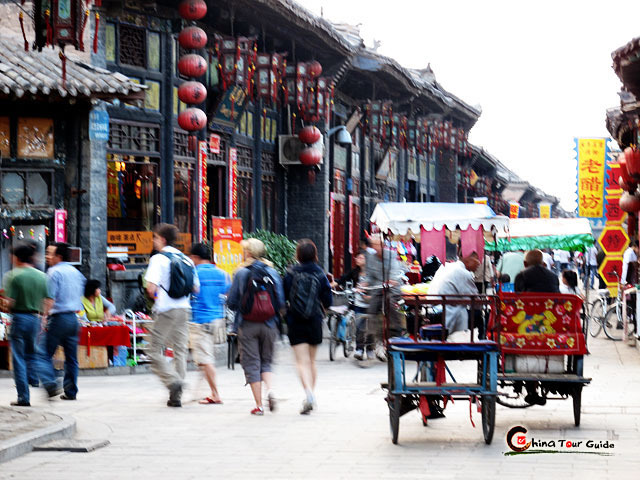 All kinds of trading takes place along the street. 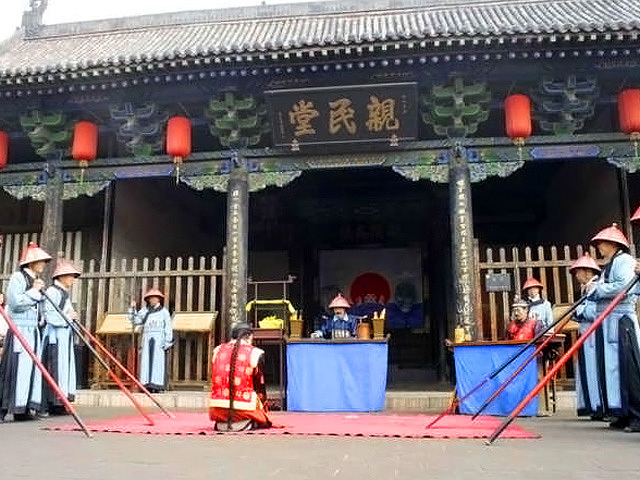 In addition to souvenirs, tourists will enjoy sampling some of the numerous local snacks offered there including, noodles, specially seasoned beef, as well as tasty Wantuo. 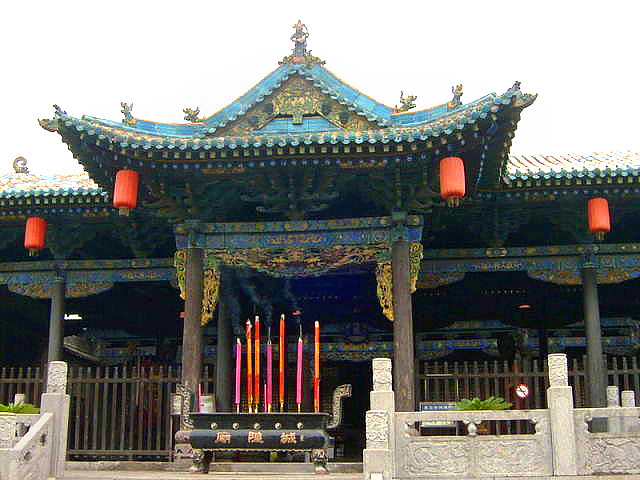 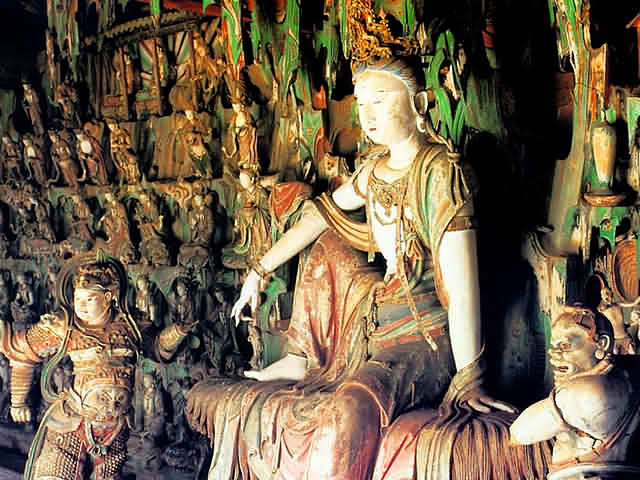 It is a perfect place to discover the antique charm of the Ming and Qing dynasties.